Channel 4 has announced some big changes to the way it tackles on-demand programming. The broadcaster has announced it is to drop its current charging strategy for archived shows, in favour of ad funding. The availability of free-of-charge content is a first for the UK, according to Channel 4, and is all part of a relaunch for the 4OD catch-up service, which has seen 111% increase since its re-boot in April. The move to a Flash-based streaming media player means that the original downloadable app will now be closed. Archived shows that will be available through 4OD include: Queer As Folk, Trigger Happy TV and Drop The Dead Donkey. "We were the first broadcaster to launch a comprehensive video-on-demand service in 2006 and since that time 4oD has become one of the UK's most popular VOD brands," said Jon Gisby, Director of Future Media & Technology at Channel 4. "We are extremely proud of the new and improved service and think the combination of fantastic content that's easy to find and view will prove a compelling service for all users." 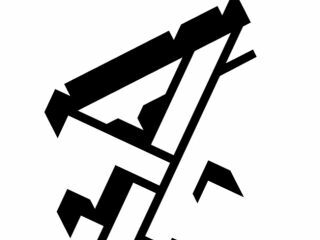 Channel 4's online back-catalogue was originally meant to be part of Project Kangaroo, which if successful would have acted as a one-stop shop for premium programming on the internet. The project was disbanded back in February, after the Competition Commission blocked the platform, believing it could have been to powerful for rivals to compete against. Check out Channel Four's 4OD at www.channel4.com. The service is available to PC, Mac and Linux users.